The control desk for Studio B at Chicago’s Earhole Studios, which for years has benefited from a close relationship with GC Pro for products, service and support. WESTLAKE VILLAGE, CA, March 13, 2012 — Earhole Studios has been part of Chicago’s thriving commercial music and audio business since 1990, currently serving clients including UPS, Chrysler, Sprite, Motorola, Allstate, BP and other major international brands. One of the reasons this 10-employee facility has been so successful is that they truly partner with their clients, looking for the nuances that will make the outcomes of their collaborations truly unique. That’s also the kind of support that Earhole Studios has long experienced with Guitar Center Professional (GC Pro), the outside sales division of Guitar Center that focuses on the needs of professional users, which has been providing Earhole Studios with sales, service and advice for years. GC Pro has been the vendor for equipment that has gone into Earhole’s main Chicago location’s three mix rooms and their satellite locations in Los Angeles and Detroit, and even for many of the staff composers’ own personal studios. Most recently, GC Pro provided a new Avid D-Command recording and mix console that was installed in Earhole’s Studio B in Chicago, replacing an Avid Pro Controller there. 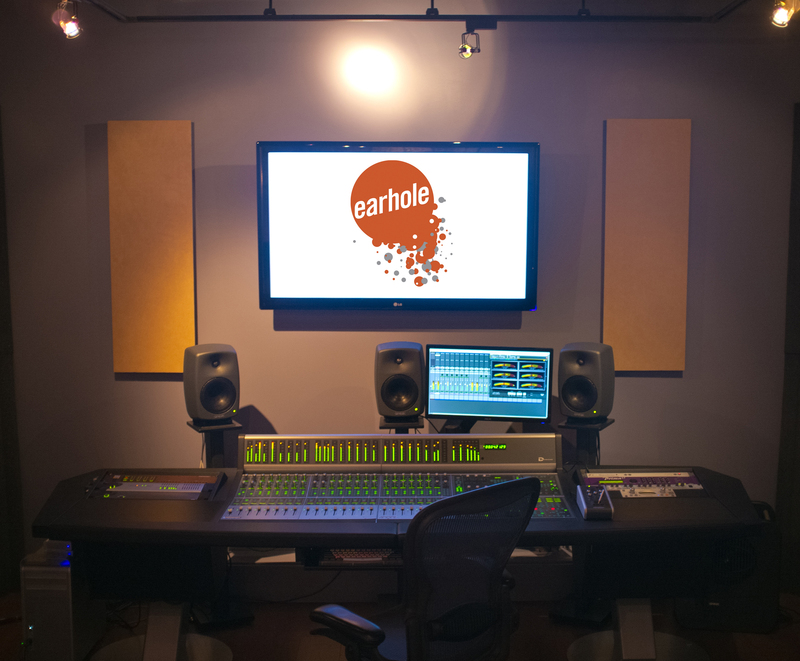 But GC Pro provided more than just the products that help keep clients like Earhole Studios on the leading edge – they also offer expertise and know-how that makes major transitions like these easier and seamless. For more information, please visit www.gcpro.com . Photo Caption: The control desk for Studio B at Chicago’s Earhole Studios, which for years has benefited from a close relationship with GC Pro for products, service and support. Guitar Center is the leading United States retailer of guitars, amplifiers, percussion, keyboards and pro-audio and recording equipment. Our retail store subsidiary operates 225 Guitar Center stores across the United States. In addition, our Music & Arts division operates 101 retail stores specializing in band and orchestra instruments for sale and rental, serving teachers, band directors, college professors and students. We also are the largest direct response retailer of musical instruments and related products in the United States through our wholly owned subsidiary, Musician’s Friend, Inc., and its catalogs and owned or operated websites. More information on Guitar Center can be found by visiting the Company’s website at www.guitarcenter.com.